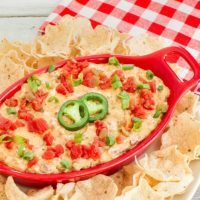 Easy Crock Pot Rotel Dip with ground beef and real cheese (no Velveeta). 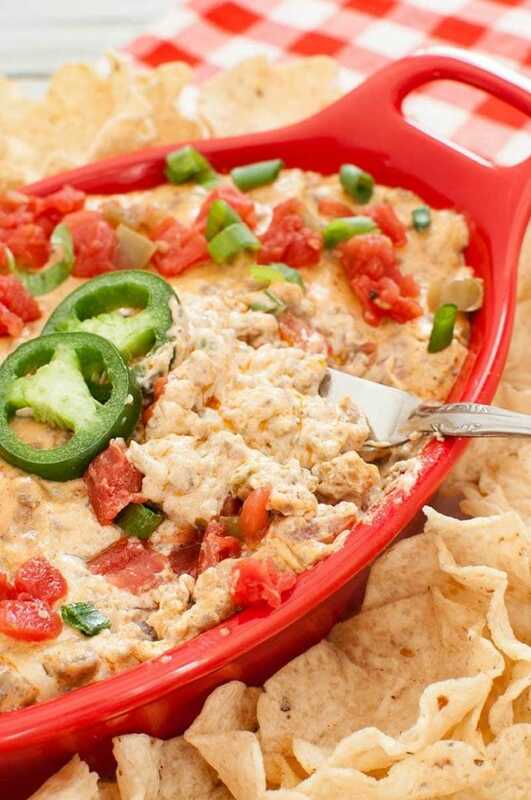 This dip recipe makes a large amount and is perfect to serve a crowd. 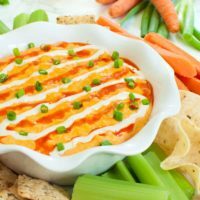 I really love crock pot (or slow cooker) dip recipes when I need to keep a dip warm at events that are going to go for several hours or more like the Super Bowl, a shower or cocktail parties. 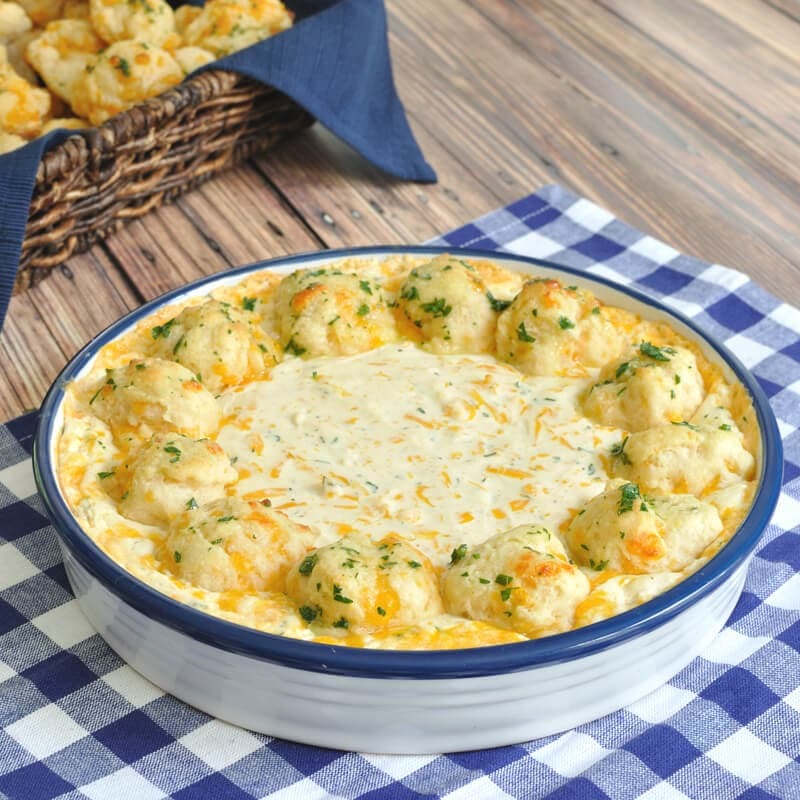 They are also really great when you need to take an appetizer to a potluck or don’t want to worry about perfectly timing your guests arrival with bringing a hot dip out of the oven. 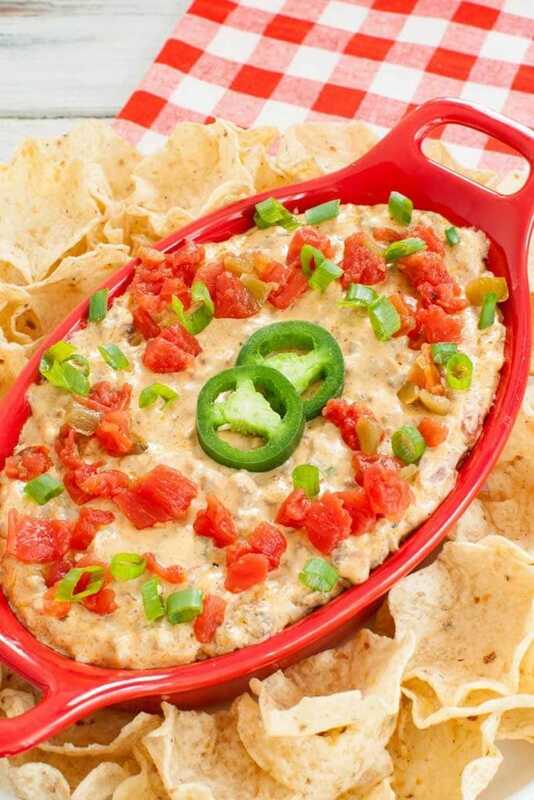 Rotel is a brand of diced tomatoes with green chiles. You can find cans of Rotel in most US grocery stores near the canned tomatoes. It comes in a few different varieties- the mild, regular or hot would work well in this dip depending on your spiciness preference. If you can’t find Rotel, you could substitute a can of diced tomatoes and a small can of diced chiles. Can you make this dip vegetarian? 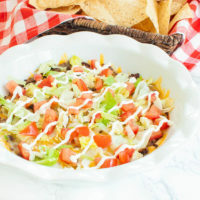 Yes, you could simply leave out the ground beef and this would still be a delicious cheese dip or you could add a meat substitute or a can of black beans. Can you make this dip ahead of time? One time saving tip is to make the ground beef ahead and keep in in the fridge. 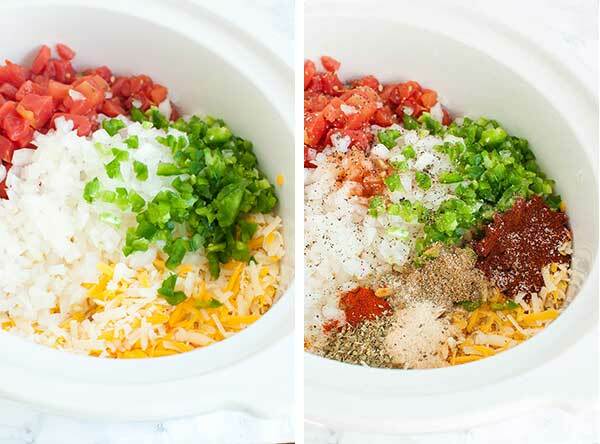 You can also assemble the dip in the crock pot ahead of time and then heat up when you’re ready. Step 1 – Brown the ground beef with salt and pepper and drain. 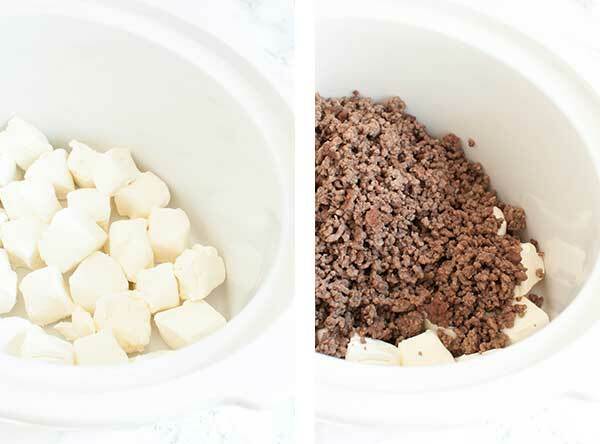 Step 2 – Add the cubed cream cheese and ground beef to the bottom of a crock pot. Step 3 – Add the remaining ingredients to the crock pot. Step 4 – Heat on high for an hour or until the dip is creamy and warm. Stir occasionally while dip is heating to combine. In a skillet, brown the ground beef over medium high heat. Break up the meat into small pieces as it's cooking. Once cooked, drain the grease from the beef and set aside. Add the cream cheese to the bottom of a 2 quart crock pot. Add the remaining ingredients to the crock pot. Heat dip on high for an hour or until warmed through. Stir occasionally as dip is heating to combine. I love crock pot dips! Looks so delicious and perfect for hosting! This Crock pot is a full meal. Lovely ingredients and flavors added to make this tasty and delicious Crock pot. Cant miss the cheesy look. Oh lordy just look at all those colours – I can almost taste it now! I love snacking and what a better way to snack then with chips and dip. 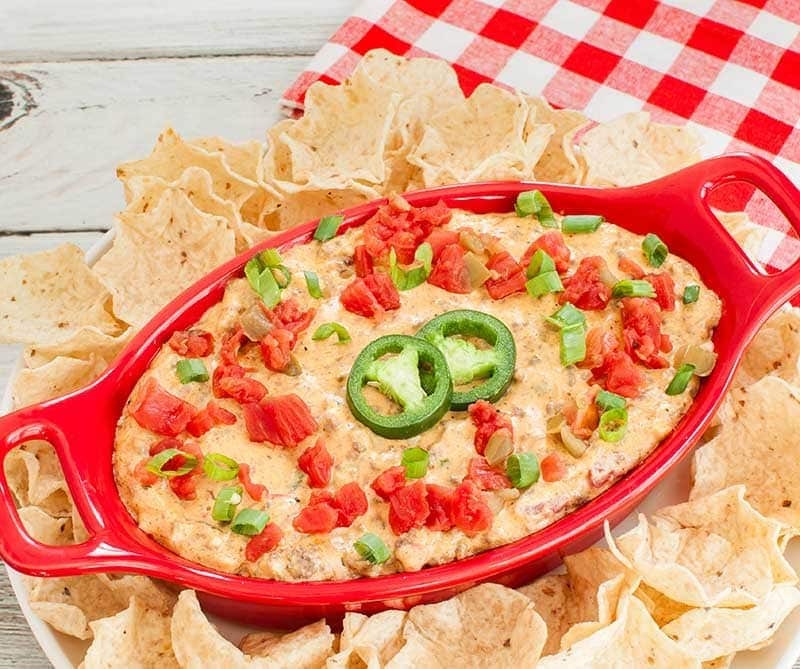 This is a great gathering dip or just a at home dip. Can’t wait to try this out! This looks right up my street! I am always looking for new dip recipes to serve when my family is round watching sport, and this is going on the list!